When it comes to good decision-making, experience from the pre-digital era is much less valuable in the eyes of the “leaders of tomorrow” than openness to new ideas and the ability to manage the flood of digital information. In order to keep their best employees, companies must involve them more closely than before in the decision-making process and delegate more decisions. 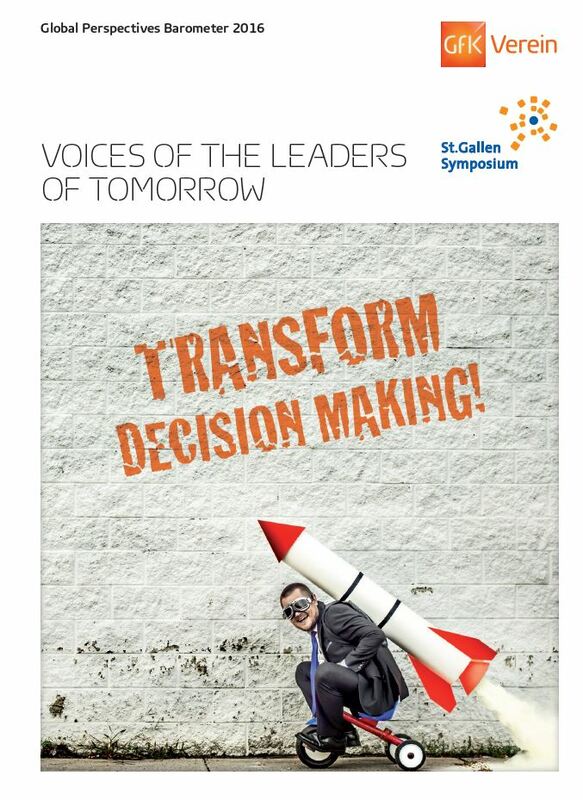 This was revealed by the study “Global Perspectives Barometer 2016: Voices of the Leaders of Tomorrow.” In conducting the study, the GfK Verein and the St. Gallen Symposium surveyed around 800 future leaders from more than 70 countries. For more details please read the report. You find the full report and the press release on the right for downloading.